Herbalifes Formula 4 provides unsaturated fatty acids, necessary for an optimal lipid supply to help maintain a good state of health, particularly during a reduced-fat diet. Herbalifeline® is an excellent way to supplement your daily intake of Omega-3 fatty acids, with its exclusive blend of highly refined marine lipids containing eicosapentaenoic acid (EPA) and docosahexaenoic acid (DHA) for cardiovascular and joint health. With its unique formula of Glucosamine hydrochloride, Scutellaria baicalensis root extract, Selenium, Manganese and Copper, Joint Support Advanced helps maintain healthy joint function and comfort, and supports healthy ageing. 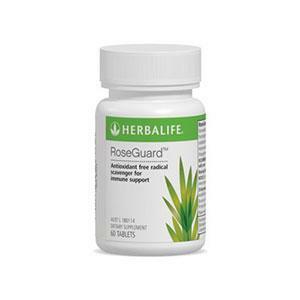 An exclusive blend of vitamins and herbs for immune support healthy liver and immune function. Contains antioxidant properties, and is formulated to scavenge free radicals which may occur in the body. To help the liver to eliminate unwanted waste substances. Beneficial for those who may not receive adequate intake of antioxidants and phytonutrients through their daily diet. Nutritional support for immune system. Tang Kuei Plus contains 2 herbal ingredients (Dong Quai and Chamomile) which may help to relieve nervous tension, stress and mild anxiety. Calcium is important for strong bones and healthy teeth and skin. Herbalife Xtra-Cal is a calcium supplement, with additional vitamin D and minerals such as zinc, magnesium and copper essential for calcium absorption. Can provide the Calcium needed for strong and healthy bones. Chitosan: an amino polysaccharide derived from Chitin, which is found in the shells of shellfish such as crab and prawns. Chitosan is derived from seafood. Take Herbalife Chitosan Fibre Complex at least one hour after any medication to avoid any reduction in the effect of that medication. A good intake of dietary fibre reduces the amount of time food spends in the intestinal tract, and so assists in the removal of toxins and wastes from the body. Nutritional experts recommend a daily intake of 25-30g of fibre each day but the average diet contains just 20-25g. Active Fibre Complex is a Fibre powder, delivering 5g of soluble and insoluble fibre per serving. It is available in delicious Apple Flavour.